The Italian Journal of Planning Practice (IJPP) is an open access brand new academic journal which adheres to the BOAI definition of open access and all users have the right to read, download, copy, distribute, print, search, or link to the full texts of these articles. IJPP aims at establishing a source for information on Italian planning practice and international planning practices of particular interest to the Italian context. 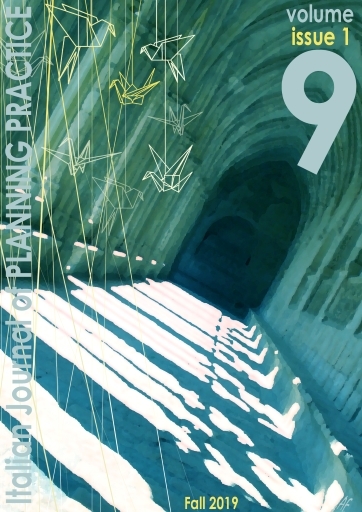 The journal is concerned with encouraging reflections and disseminating knowledge and research on the peculiar characteristics of Italian planning practice and policy all across the world to the widest possible readership. Research papers on comparative case studies are also partcularly welcomed. IJPP is indexed in Scopus - Elsevier. IJPP is indexed in the Emerging Sources Citation Index (ESCI) of Thomson Reuters Web of Science Core Collection. More information about the ESCI can be found at: http://wokinfo.com/essays/journal-selection-process/. IJPP is classified as Scientific Journal by ANVUR (Italian National Agency for the Evaluation of University and Research Institutes). IJPP is indexed in the Directory of Open Access Journals (DOAJ).